Aage Bohr was awarded the Nobel Prize in Physics in 1975 for his work detailing the structure of the atomic nucleus. Aage Niels Bohr was born in Denmark’s capital city, Copenhagen, on June 19, 1922. In the same year as Aage was born, his father, Niels Bohr, was awarded the Nobel Prize in Physics for his explanation of the structure of atoms and the radiation emitted by them. Aage’s mother, Margrethe Nørlund, gave birth to six children – all boys; Aage was the fourth. Margrethe was well educated; she assisted Niels Bohr with his paperwork and discussed his scientific research with him in detail. Aage Bohr’s education was both conventional and, from a scientific point of view, extraordinarily privileged. Like many other students of high school age in Copenhagen, he attended grammar school – the Sortedam Gymnasium. Unlike other students, he also enjoyed conversations with some of the world’s most outstanding physicists, including his father, of course. In later life Aage recalled some of the giants of science who had worked in Copenhagen with his father; he met them so regularly that they became his ‘uncles’ – including Uncle Werner Heisenberg (Nobel Prize in Physics 1932) and Uncle Wolfgang Pauli (Nobel Prize in Physics 1945). In April 1940, when Aage was 17, Denmark was invaded by the armed forces of Nazi Germany. This was a worrying time for the Bohr family. Aage’s mother and father were both baptized Christians, but Aage’s grandmother (Niels Bohr’s mother) was Jewish, and this connection meant there could be trouble from the Nazis. At first, however, there were no problems and, aged 18, Aage enrolled at Copenhagen University intending to obtain a degree in physics. He also became a scientific assistant to his father, with gradually increasing input to his father’s research. In September 1943, the Nazis decided to deport Denmark’s Jews to concentration camps. The Bohr family fled in fishing boats across the short stretch of water separating Denmark from Sweden. Sweden was officially neutral and had not been invaded by the Nazis. Nearly all of Denmark’s 7000 Jews fled over the sea to Sweden in 1943. In October 1943, one week apart, Niels and Aage Bohr flew from Sweden over Nazi-occupied Norway to the United Kingdom. They flew in British warplanes, which came to Sweden to collect them. Margrethe Bohr decided to remain in Sweden, where she stayed until the war ended. 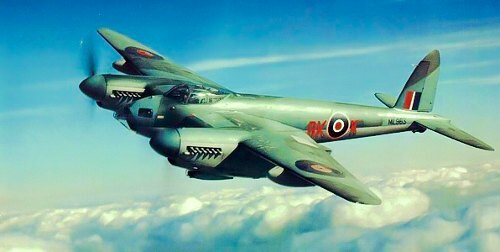 At the age of 21, Aage Bohr was flown from Sweden over Nazi-occupied Norway and the North Sea to Scotland in a de Havilland Mosquito. Such a flight was not free of risk! Once safely in the UK, father and son began scientific research for the British Government, working in the atomic bomb project headed by James Chadwick. 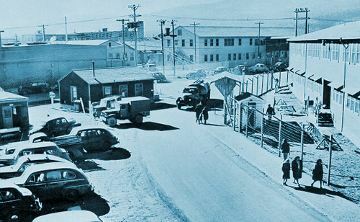 The Tech Area at Los Alamos became very familiar to father and son “Nicholas Baker” and “James Baker” as they helped with the Manhattan Project. When the war ended, the Bohr family reunited in Copenhagen in August 1945. 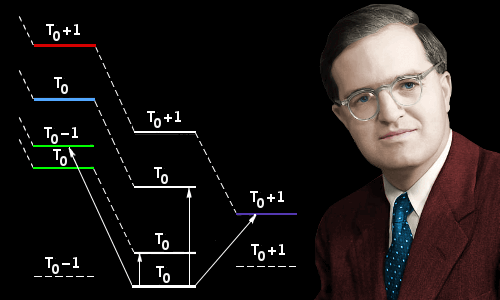 In 1948 he moved to the Institute for Advanced Study in Princeton, USA, where he tried to model the behavior of the atomic nucleus in a magnetic field, spending considerable amounts of time working at Columbia University. While in America, he married Marietta Soffer in March 1950, returning with her to Copenhagen at the end of 1950. He was awarded a Ph.D. degree in 1954. Aage Bohr then worked in Copenhagen until he retired, becoming director of the Niels Bohr Institute in 1962. He resigned as director in 1967 to dedicate his time to research work and retired in 1981. Like his father, Aage Bohr was intrigued by the structure of the atom. The atomic nucleus in particular; that tiny, densely packed, positively charged mass at the heart of every atom interested him intensely. What was the nucleus really like – were there any structural details, and if so, what were they? One idea, which had been developed most fully by Niels Bohr and John Archibald Wheeler in the late 1930s, was the liquid-drop model. The liquid-drop model pictured the nucleus as a rotating drop of incompressible liquid held together by surface tension. The drop of liquid could be deformed from its basic spherical shape and a large drop of liquid could fall apart to form two new drops. Similarly a large atomic nucleus, like uranium, could fall apart to form two new atomic nuclei – this is nuclear fission, the energy source behind both the uranium atom bomb and the uranium power plant. The tiny atomic nucleus was modeled as a drop of liquid held together by surface tension. Just like a liquid, the shape of the drop was spherical, but could be deformed from this shape. The liquid drop model had its greatest successes in explaining the properties of heavy nuclei, such as uranium. By 1950, however, the liquid drop model was in danger of being pushed aside by the newer shell model of the nucleus. Much like electrons are said to occupy shells of different energy outside the nucleus, the shell model of the nucleus says protons and neutrons occupy distinct energy shells inside the nucleus. Shell model of an atomic nucleus, showing different energy levels. Image by Schunck. By 1950, most physicists had decided the shell model looked more promising than the liquid-drop model. In particular, the shell model explained why atomic nuclei with so-called magic numbers of protons+neutrons are particularly stable. This is similar to the concept taught in high school chemistry, where atoms with complete electron shells, for example, 2 or 8 electrons in their outermost shells are particularly stable, leading to the unreactive behavior of the noble gases. In the case of atomic nuclei, the magic numbers of 2, 8, 20, 28, 50, 82 and 126 protons+neutrons result in particularly stable nuclei. The shell model was particularly good at explaining the properties of lighter nuclei and magic-number nuclei, but was less successful with heavy nuclei such as uranium. In fact, the liquid-drop model and the shell model both had advantages and disadvantages – indicating that neither could be the full story. In 1949, James Rainwater, a Columbia University physicist, decided to combine the best aspects of the liquid-drop and shell models into a single unified model of the nucleus. Rainwater shared an office at Columbia with Bohr and explained his ideas to him. Bohr was captivated, seeing the potential of Rainwater’s ideas to explain the behavior and structure of the atomic nucleus. Bohr returned to Copenhagen, determined to pursue the unified model further. There he worked with Ben Mottelson, who had completed his Ph.D. at Harvard University and was now in Copenhagen on a Harvard Traveling Fellowship. Together, Bohr and Mottelson worked out in intricate detail how a unified model could explain a huge number of experimental observations from different atomic nuclei. In 1953 they published a 173-page report describing their unified model and in 1954 Bohr published The Rotational States of Atomic Nuclei. Crucially, predictions they made about how nuclei would behave were verified in experiments. One of their key findings was that some of the behavior of nuclei could be explained by nuclei having different amounts of energy resulting from rotation. Furthermore, nuclei do not rotate as rigid objects but, instead, a surface wave travels around the nucleus. They also found that nuclei vibrate, changing their shape around an average value. At first Bohr had trouble convincing his father that the liquid-drop model should be dropped – after all, Niels Bohr was one of the liquid-drop model’s main architects – but eventually he won his father over. The unified model – often called the collective model – is sometimes likened to a swarm of bees, where each bee is a neutron or proton and the swarm is the nucleus. The swarm acts as a single entity, even though each bee within it is moving around independently with its own, individual energy. In the Bohr-Mottelson model, the outside of the swarm rotates and wobbles inward and outward. Each neutron or proton has its own orbital energy within the nucleus. 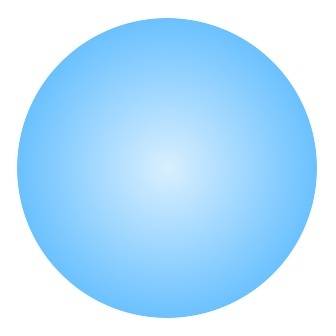 These orbits can sometimes deform the nucleus so that it is no longer truly spherical. For example, the nucleus of heavier atoms can become an oblate spheroid (discus shaped) or prolate spheroid (football shaped). An oblate and a prolate spheroid. Images by AugPi, modified by this site. Of course, we need to remember that atomic nuclei have a diameter of between 1.7 x 10-15 m for hydrogen and about 15 x 10-15 m for uranium. The fact that Bohr and others were able to mathematically model such incredibly small objects, produce fine structural detail, and predict their behavior in agreement with experimental data is remarkable. Despite the huge strides taken by the trio of physicists, even today, the structural details of atomic nuclei have still not been fully resolved. Aage Bohr died on September 8, 2009, aged 87. He was buried in the Mariebjerg Cemetery, Copenhagen. His first wife, Marietta, died in 1978. Bohr was survived by his second wife, Bente Meyer Scharff, whom he had married in 1981, and by two sons and a daughter from his marriage to Marietta. One of his sons, Tomas, became a Professor of Physics at the Technical University of Denmark. Images of Bohr digitally enhanced and colorized by this website. "Aage Bohr." Famous Scientists. famousscientists.org. 27 Mar. 2015. Web.